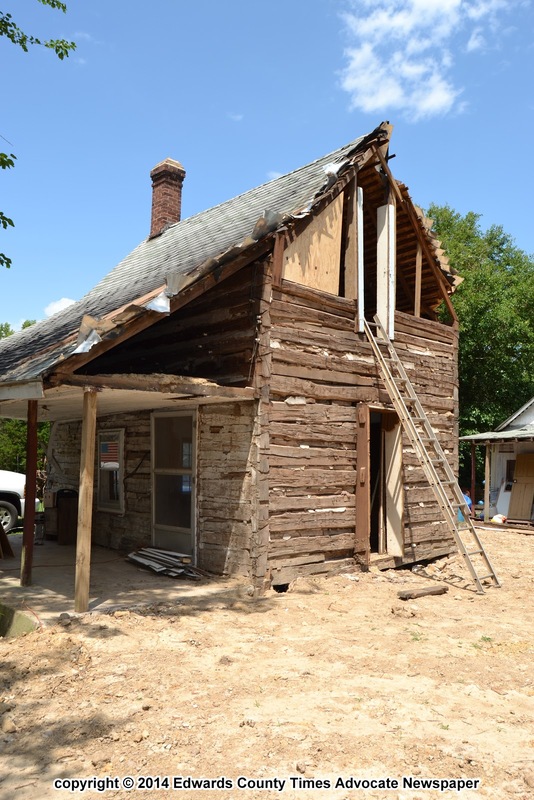 The Digital Research Library of Illinois History Journal™: Early 1800s Log Cabin Home uncovered in West Salem in Edwards County, Illinois, in July 2014. 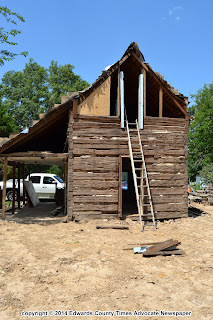 Early 1800s Log Cabin Home uncovered in West Salem in Edwards County, Illinois, in July 2014. Linda Giese has known for years her old home held a secret, but she had no idea she was holding onto a true treasure. 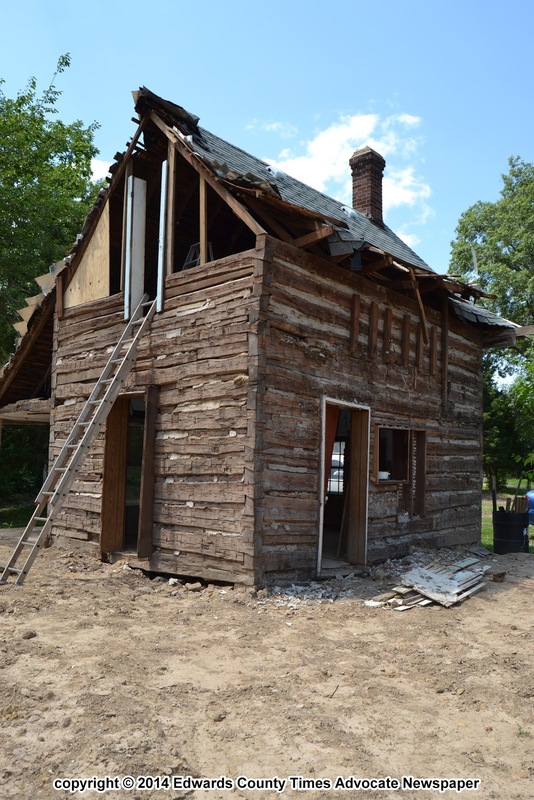 Giese is the proud owner of an original 19th century log cabin, right here in West Salem. The old frame house on North West Street was Giese’s home for over 25 years, but about ten years ago she moved into a new modular. “Earthquake damage and termites had really taken their toll, and I just couldn’t afford to repair the foundation,” said Giese. Every day, Giese looked out her front door and saw the home she had raised her children in, but that all changed recently. Now she has a much different view. With the old house beyond repair, demolition was scheduled and S&S Excavating was contracted to do the work. 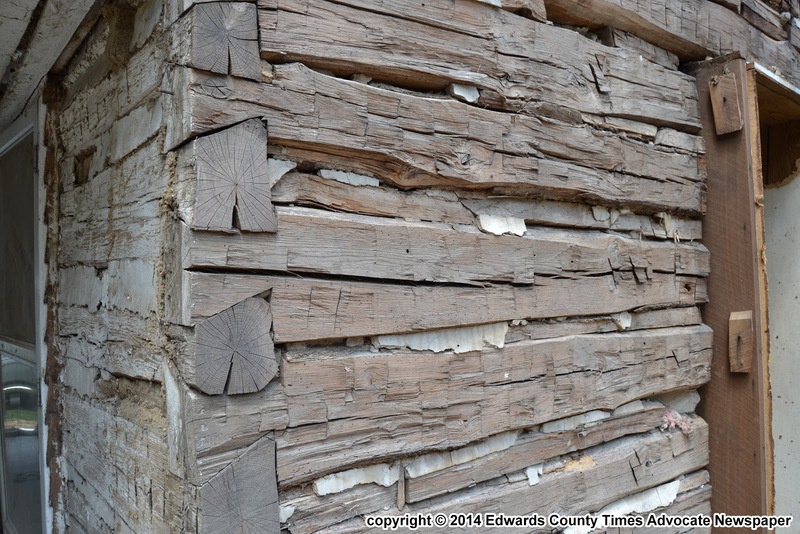 “When I told him there was a log cabin inside the old house, he didn’t think he could save it. But once he got started, he got excited and told me he thought he could do it after all,” said Giese. 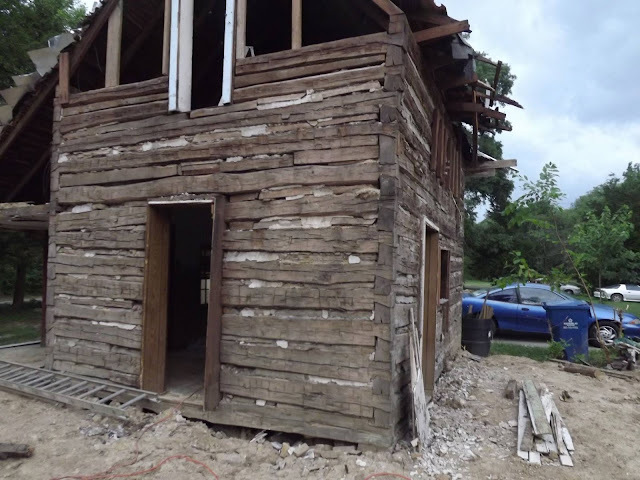 She had high praise for the company as they managed to demolish the old frame house without damaging the 14’ x 18’ log cabin. While the earliest date showing up in the property’s abstract is 1843, it’s difficult to determine the actual age of the cabin. Deeds and abstract work only deal with the actual property, not dwellings. The first property owner listed is Philip Clodfelter. 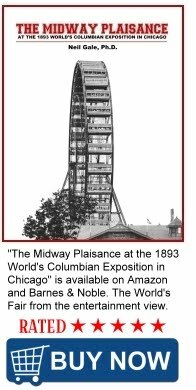 He officially laid claim to the land, and was granted a land patent (another name for a first-title deed) by the United States of America in 1843. Last names of other property owners through the years are familiar to many: Herman, Matthes, Busefink, Campbell, Nix, Drysdale, Hayes, Fore, Aidt and Greathouse. 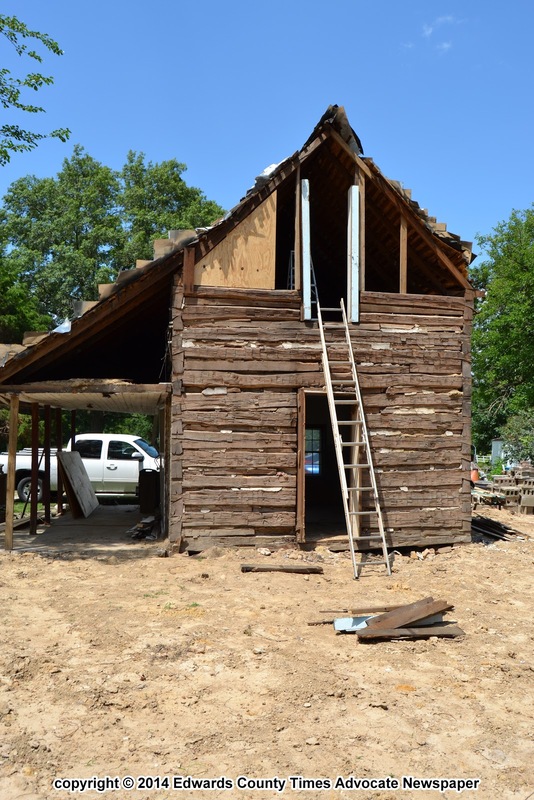 Giese is hopeful someone will be able to provide a more accurate time period for the cabin based on how it was built. I see a road trip in my future! !